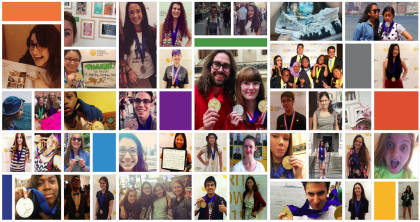 New York City Writing Project – Volunteer as a Juror: Scholastic Art & Writing Awards! Volunteer as a Juror: Scholastic Art & Writing Awards! The New York City Writing Project is excited to have been invited to participate with the 2016 NYC Scholastic Art & Writing Awards, the longest running scholarship and recognition program for creative teens. New York City alone receives over 5,000 writing submissions for the competition. We are in the process of gathering judges for this coming judging cycle, and the NYCWP would like to invite its teachers to serve as Regional Writing Jurors. This is a great opportunity for teachers to share their passions with students outside of their classroom, see the work of students from across the city, and share their expertise, both as a teacher and a writer, with others. Where? Anywhere with an internet connection! Now in its 93rd year, the Scholastic Art & Writing Awards recognizes the vision, ingenuity, and talent of our nation’s youth, and provides opportunities to celebrate creative teens. Writers like Billy Collins, Langston Hughes, and David Sedaris have participated as jurors. Former jurors have told us that the experience is enlightening and engaging. Regional Writing Jurors will be assigned a batch of pieces to adjudicate. The time commitment should be between 8 and 10 hours of reading. The adjudication period runs from December 21 through January 18. All of the content will be available online and jurors can read the work from the comfort of their own computers. As a token of appreciation, selected jurors will receive a $100 honorarium. Interested jurors should sign up here by December 18th, at which time they will receive more details about the adjudication process. Jurors with complete applications will be accepted on a first-come, first-served basis.